The undercover turtle dove unit worked all year round... Even Christmas Day! "The turtle doves will never spot me," chuckled Ninja Partridge. Ooops, should be a capital on Partridge - once again sorry for the panto humour but it is Christmas! 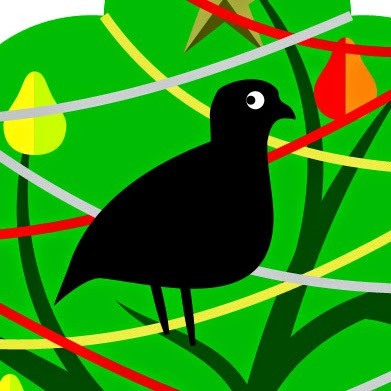 Partridge hoped that the doves, hens and calling birds would help tidy up after last night's party in a pear tree. Great micro-stories to go with my illustration. Thanks, everyone!